Chronic obstructive pulmonary disease, also known as COPD, is a progressive disease that usually makes it difficult to breathe. “Progressive” simply means that this illness gets worse with time. COPD might cause coughing which produces large amounts mucus, wheezing, chest tightness, and shortness of breath. Cigarette smoking is currently the leading cause of the disease. Most individuals who have COPD used to smoke, or they are still smokers. Continued exposure to several other lung irritants like air pollution, dust, or chemical fumes might also cause COPD. To understand COPD well, you must first understand how your lungs function. The air that you take in goes down the windpipe to tubes in the lungs known as airways or bronchial tubes. Within the lungs, the bronchial tubes branch into several smaller and thinner tubes called bronchioles. The tubes end in bunches of tiny round air sacs known as alveoli. Small blood vessels, or capillaries, run through the walls of these air sacs. When the air reaches these air sacs, oxygen then passes through the walls of the air sacs to the blood inside the capillaries. At this same time, the waste gas (carbon dioxide) moves out of the capillaries to the air sacs. This is the process of gas exchange. The air sacs and airway lose their elastic quality. The walls between most of the air sacs get destroyed. The walls of these airways become inflamed and thick. The airways usually produce more mucus than normal which might clog them. There’s no COPD drug to cure the condition yet. However, lifestyle changes and following a COPD treatment plan can help you feel better, remain more active, and also slow down the progress of this disease. Avoid lung irritants and quit smoking: Quitting smoking is simply the most important step that you can take in treating COPD. Talk with your physician about the products and programs that can aid you to quit. In case you have trouble quitting on your own, then consider joining a support group. Many workplaces, hospitals, and community group offer meetings that help people quit smoking. You can also ask your friends and family members for support. Other lifestyle changes: In case you have COPD, you might have a lot of trouble eating enough food because of the symptoms like fatigue and shortness of breath. As such, you might not get all of the nutrients and calories that you require which could worsen your COPD symptoms and raise your risk of infections. Talk with your physician about a dieting plan that meets all your nutritional needs. The doctor might suggest eating smaller and more frequent meals, taking dietary supplements or vitamins, and resting before eating. These changes will help you a lot in your COPD treatment plan. Bronchodilators: Bronchodilators are one of the COPD drugs that work by relaxing the muscles around the airways. This normally helps to open the airways and make breathing easier. Depending on the severity of the disease, your doctor might prescribe long-acting or short-acting bronchodilators. The short-acting bronchodilators usually last for about 4 to 6 hours, and you should only take them when needed. Long-acting bronchodilators, on the other hand, last for about 12 hours, and you can take them daily. Combination Bronchodilators and Inhaled Glucocorticosteroids (Steroids): If your COPD condition is fairly severe, your doctor might prescribe a combination of COPD drugs that includes bronchodilators and inhaled steroids as a COPD medication. Steroids usually help to reduce airway inflammation. Flu Shots: The flu can cause serious complications for individuals who have COPD. However, flu shots might reduce your risk of getting the flu. Ensure that you talk with your physician about getting your yearly flu shot. Pneumococcal Vaccine: This vaccine normally lowers your risk of pneumococcal pneumonia and its complications. Individuals who have COPD are usually at a high risk of pneumonia in comparison to people without COPD. So talk to your physician about whether you should receive this vaccine. Pulmonary Rehabilitation: Pulmonary rehabilitation is a very broad program that helps in improving the wellbeing of individuals who have chronic breathing problems. As such, it can also serve as a COPD treatment by helping you to breathe better. In case you have a severe case of COPD and low oxygen levels in your blood, then oxygen therapy might help you breathe better. For this COPD treatment, they give you oxygen via nasal prongs. You might need extra oxygen at certain times or all the time. However, for most individuals who have severe COPD, the extra oxygen helps a lot. Although surgery is usually the last resort, it might help those with severe COPD symptoms that haven’t improved with taking COPD drugs. Surgeries for people with COPD include bullectomy and lung volume reduction surgery. 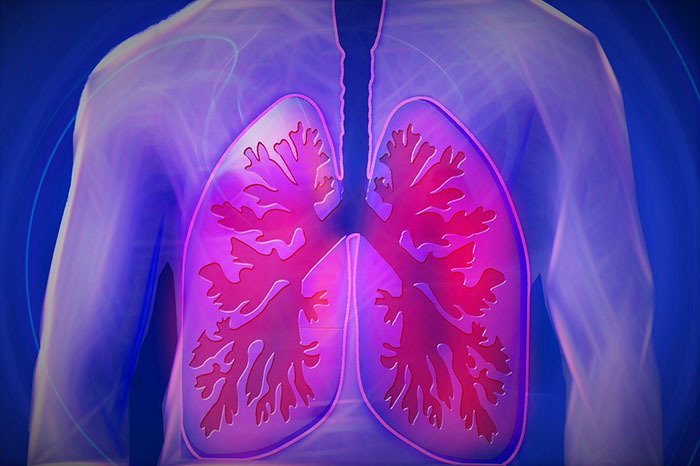 A lung transplant might become an option for people with very severe COPD. COPD symptoms normally worsen over time. However, they can also worsen suddenly. For example, the flu, cold, or lung infection might cause your symptoms to worsen quickly. With such an additional condition, you may end up having more difficulty breathing. Furthermore, you might have chest tightness, changes in the amount or color of your sputum, more coughing, and a fever. Call your physician right away in case your symptoms worsen abruptly. He might prescribe antibiotics for treating particular infections and several other medicines like inhaled steroids and bronchodilators in your COPD treatment plan.